NOTE: This profile page begins with three particularly important sections of information about Maxine Waters. The first section details Waters’s long record of associations with communist and socialist groups, causes, and individuals. The second section discusses corruption of which Waters has been accused, and in which she has been involved. The third section provides examples of Waters’s propensity to accuse her political and ideological adversaries of racism if they are white, as well as her contempt for black conservatives. Following these three crucial sections is a more-or-less chronological profile of Waters’s life and political career. On March 9, 1983 in Los Angeles, Waters participated in a gathering where some 300 people laid out plans for a large solidarity event that was slated to coincide with the L.A. Summer Olympics July/August 1984. The 1983 meeting that Waters attended was organized by the Federation For Progress, a Communist Workers Party front group. Circa July 1984, Waters was a sponsor of a San Francisco reception organized by the Democratic Socialists of America’s American Solidarity Movement, whose Initiating Committee included such notables as Michael Harrington, Stanley Aronowitz, Balfour Brickner, Harry Britt, Harvey Cox, Ron Dellums, Bogdan Denitch, Barbara Ehrenreich, Cynthia Epstein, Jules Feiffer, Barney Frank, George Higgins, Irving Howe, Eleanor Holmes Norton, Frances Fox Piven, Jose Rivera, Ray Rogers, Gloria Steinem, Peter Steinfels, and Ellen Willis. Waters served on the welcoming committee for an April 27, 1991 event in Los Angeles honoring South African Communist Party (SACP) leader Chris Hani. The attendees that day contributed more than $12,000 to help fund the SACP and the People’s Weekly World, the official newspaper of the Communist Party USA. Waters has been a longtime supporter of the former Black Panther, convicted cop-killer, and Marxist icon Mumia Abu-Jamal. In 1995 – fourteen years after Abu-Jamal had been found guilty of murdering Philadelphia police officer Daniel Faulkner – Waters joined fellow Congressional Black Caucus members Chaka Fattah, Ron Dellums, Cynthia McKinney, and John Conyers in writing a letter that stated: “There is ample evidence that Mr. Abu-Jamal’s constitutional rights were violated, that he did not receive a fair trial, and that he is, in fact, innocent.” On August 13, 1995, Waters and Jesse Jackson were among the notables who attended a Los Angeles rally to protest Abu-Jamal’s murder conviction. Beginning in the mid-1990s as well, Waters became an outspoken champion for Lori Berenson, an American citizen who in 1995 was arrested in Peru for collaborating with Marxist guerrillas on a plot to kidnap members of the Peruvian Congress, and who in 1996 was sentenced to life-in-prison for her crime (a sentence that was later reduced to 20 years). In July 2002, Waters said the following about the Berenson case: “I am outraged and appalled by the continuing incarceration of Lori Berenson on charges of collaborating with terrorists in Peru. Lori Berenson is not a terrorist, nor has she ever collaborated with terrorists. She is an intelligent and caring young woman who is committed to justice.” When Berenson was given a conditional early release from prison in May 2010, Waters said she was “excited” about the court’s decision. At a June 1996 tribute event which the Communist Party USA newspaper People’s Weekly World held in Los Angeles for unionists Jerry Acosta and Gilbert Cedillo, one of Waters’s staffers made a presentation to the honorees on behalf of the congresswoman. In July 1996, the Democratic Socialists of America’s Political Action Committee endorsed Waters’s candidacy in the race for California’s District 35 Congressional seat. In 1997 Waters was one of 33 original co-sponsors of the Job Creation and Infrastructure Restoration Act which was introduced into Congress by California Rep. Matthew Martinez. This emergency federal jobs legislation was designed to create jobs at union wages in crisis-ridden cities by putting the unemployed to work on infrastructure projects such as rebuilding schools, housing, hospitals, libraries, public transportation, highways, and parks. Rep. Martinez had already introduced a version of this bill in the previous Congress at the request of the Los Angeles Labor Coalition for Public Works Jobs, whose leaders were known supporters or members of the Communist Party USA. In January 2000, Waters headed another Congressional Black Caucus delegation to Cuba, this time to monitor a U.S. Medical/Healthcare exhibition in Havana. The trip was sponsored by the Interreligious Foundation for Community Organization / Pastors for Peace. In 2004, Waters lauded Stanley Sheinbaum, a Los Angeles-based activist and funder of left-wing causes,as someone who had been a trustworthy friend and a valuable mentor to her. “I’ve used him as a sounding board for years,” the congresswoman said. “He has been influencing progressive politics in this country, really the world, for a long time.” Over the years, Scheinbaum has been an organizer of the Pentagon Papers-Daniel Ellsberg Defense Team (in 1971); the publisher of New Perspectives Quarterly; a senior fellow at the Center for the Study of Democratic Institutions; chairman of the American Civil Liberties Foundation of Southern California; a founding member of People for the American Way; and a member of the Los Angeles chapter of the Democratic Socialists of America. In April 2004, Waters participated in a rally organized by the International Action Center, an offshoot organization of the Marxist-Leninist Workers World Party. The leaflet inviting people to attend the rally placed Waters’s name at the very top of the guest list. In May 2005, Waters was one of just 22 House members to vote against HR 193, a Republican-sponsored bill stating that the House of Representatives: (a) “extends its support and solidarity to the organizers and participants of the historic meeting of the Assembly to Promote the Civil Society in Cuba on May 20, 2005, in Havana”; (b) “urges the international community to support the Assembly’s mission to bring democracy to Cuba”; (c) “urges the [Bush] Administration and international community to actively oppose any attempts by the Castro regime to repress or punish the organizers and participants of the Assembly”; and (d) “shares the pro-democracy ideals of the Assembly to Promote the Civil Society in Cuba and believes that this Assembly and others will hasten the day of freedom and democracy for the people of Cuba.” HR 193 passed by a margin of 392 to 22. Joining Waters in opposition to the bill were the following Democrats: Reps. John Conyers, Sam Farr, Maurice Hinchey, Stephanie Tubbs Jones, Carolyn Kilpatrick, Dennis Kucinich, Barbara Lee, Jim McDermott, Cynthia McKinney, Gregory Meeks, George Miller, John Olver, Donald Payne, Charlie Rangel, José Serrano, Pete Stark, Edolphus Towns, Tom Udall, Nydia Velázquez, and Lynn Woolsey. In 2009 Waters was a guest speaker at an event organized by the Michigan Coalition for Human Rights, a group whose board of directors included Workers World Party organizer Abayomi Azikiwe, who also chaired the event. In early 2013, Waters was one of dozens of prominent leftists who urged President Barack Obama to award, posthumously, the Presidential Medal of Freedom to the late Fred Ross Sr., a Saul Alinsky-trained radical who mentored both Cesar Chavez and Dolores Huerta. Waters declined to be interviewed about these matters, saying only that her family members “do their business, and I do mine.” To view the 2005 CREW report (which is largely but not entirely identical to the 2006 report), click here. “OneUnited Bank received $12 million in federal TARP bailout money after Waters’ office personally intervened and lobbied the Treasury Department in 2008. The minority depository institution was seeking a backdoor government rescue from its reckless decision to squander nearly $52 million of its bank capital on Fannie Mae and Freddie Mac preferred stock. Lavish spending by top bank executive Kevin Cohee, who boasted a company-financed Porsche and a Santa Monica, Calif., beachfront mansion, compounded the bank’s problems…. “Only through Waters’ intervention was OneUnited able to secure an emergency meeting with the Treasury and its then-Secretary Henry Paulson. The bailout beggars did so under the guise of representing the ‘National Bankers Association.’ But records obtained by congressional investigators showed that OneUnited’s legal counsel, vice president and president (the latter two are married to each other) spearheaded the meeting and its agenda and drafted the talking points/briefing material for Waters. “OneUnited executives had donated $12,500 to Waters’ congressional campaigns. Her husband, Sidney Williams, was an investor in one of the banks that merged into OneUnited. His stock holdings were estimated at $350,000. Waters meddled despite warnings from fellow Democratic Rep. Barney Frank to keep her nose out of the case. “E-mails obtained by public interest legal foundation Judicial Watch and … the Washington Post reveal that federal bank examiners were livid about the intervention of … Waters. ‘There are some really good people expressing very strong opinions regarding what they view as a travesty of justice regarding the special treatment’ OneUnited is receiving, acting regional director John M. Lane complained in a March 2009 e-mail to Christopher J. Spoth, a senior FDIC consumer protection official. “Congresswoman Waters abused her office,” said CREW in June 2010, “and she must be held accountable for her actions. The Statement of Alleged Violation[s] released by the House Ethics Committee confirms the congresswoman intervened on behalf of OneUnited Bank despite the fact that she knew her actions constituted a conflict of interest.” That House Ethics Committee report was a damning document showing a series of emails wherein Waters, through her chief of staff (and grandson) Mikael Moore, was actively involved in the OneUnited matter, communicating back and forth with bank officials and discussing what progress was being made, as well as strategy going forward. To view the details of these communications, click here. On August 2, 2010, the House Ethics Committee filed three charges against Waters, alleging that she had used her influence to gain special favors (from the federal government) for OneUnited. The Ethics Committee did rule, however, that Waters’ grandson and chief of staff Mikael Moore had somehow proceeded, without the congresswoman’s knowledge or approval, to lobby for special treatment for OneUnited. The Washington Examiner noted that: “At best, that shows that Waters runs a haphazard office. At worst, it suggests she deliberately took steps to avoid prosecution” – i.e., by having all her communications with OneUnited go through Moore. “CREW accepts the conclusions of House Ethics Committee outside counsel Billy Martin exonerating Rep. 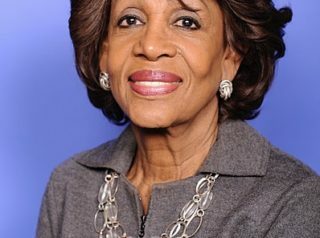 Waters, but urges the committee to immediately release Mr. Martin’s report explaining why the congresswoman’s actions on behalf of a bank in which her husband maintained a financial interest did not constitute a conflict. “As both Mr. Martin and the committee noted, questions remain about the actions of Rep. Waters’ chief of staff, Mikael Moore. Today we learned that at some point, the congresswoman directed Mr. Moore to stay out of the OneUnited Bank matter. Whether Mr. Moore sent two additional emails to the House Financial Services Committee referencing the bank before or after this conversation is unclear. Further, Mr. Moore’s claim that Rep. Waters directed him to steer clear of the OneUnited matter for just one day does not make sense. Nevertheless, as Mr. Moore did not have a personal financial interest in OneUnited, it is hard to imagine why he would continue to push the issue once Rep. Waters had told him to stop. Throughout her career in Congress, Waters has routinely depicted white people who do not share her political or ideological values, as racists. In August 2014, Waters traveled to St. Louis to attend the funeral of Michael Brown, a 6-foot-4-inch, 300-pound black man who had been shot and killed during a highly publicized altercation with a white police officer named Darren Wilson two weeks earlier in Ferguson, Missouri. “I have been in contact with some of the elected officials and community leaders in the St. Louis area and join with the overall community in calling for justice for Michael Brown,” Waters said in a statement issued shortly before the funeral. Adding that she was “particularly sympathetic to the parents and relatives of Michael Brown for their loss,” Waters vowed that “while I am in St. Louis, I will meet with local leaders and offer my assistance in future political organizing to help create change in the Ferguson community.” Ultimately, the evidence pertaining to this case showed that: (a) Officer Wilson knew from the outset that Brown had just carried out a reported strongarmed robbery at a convenience store (apparently in frustration over the fact that his attempted drug deal with an employee at that store had failed to materialize as planned); (b) Brown initiated the attack on Officer Wilson while the latter was still inside his police car; (c) Brown grabbed Wilson’s gun during the initial struggle, causing the weapon to fire twice; (d) the much-smaller Wilson, who feared for his life during the struggle, repeatedly told Brown to surrender, but to no avail; and (e) Brown, who had marijuana in his system and on his possession at the time of his altercation with Wilson, was aggressively charging the officer when he was fatally shot. Maxine Waters was born on August 15, 1938, in a St. Louis, Missouri housing project. She was the fifth of thirteen children, raised by a single mother in a home that was visited regularly by welfare and social workers. In 1961 Waters moved to Los Angeles, where she took jobs working for a garment factory and a telephone company. In 1966 she was hired as an assistant teacher with the Head Start program in the Watts section of Los Angeles. During her tenure with Head Start, Waters studied sociology at California State University in L.A., eventually graduating with a bachelor’s degree in 1970. Waters entered politics in 1973 as chief deputy to Los Angeles City Councilman David Cunningham. Three years later she was elected to the California Assembly, the lower house of the state legislature, where she went on to serve from 1977-91. In 1980 Waters became a member of the Democratic National Committee and subsequently served as a key leader in the presidential campaigns of Ted Kennedy (1980), Jesse Jackson (Waters was the national co-chair of Jackson’s White House bids in 1984 & 1988), and Bill Clinton (1992 & 1996). In May 1990 in Atlanta, Waters attended a conference of the National Rainbow Coalition, a political organization that had grown out of Jesse Jackson’s failed 1984 presidential campaign. When longtime Democratic Congressman Augustus Hawkins retired in 1990 from his post as the Representative of California’s 29th Congressional District, Waters was anointed as his successor by Democratic Party bosses and easily won election. She has served in the U.S. House of Representatives ever since, representing the 29th District from 1991-93, the 35th District from 1993-2013, and the 43rd District from 2013 to the present. Further, Waters has been a longtime member of the Congressional Progressive Caucus and the Congressional Black Caucus, the latter of which she chaired in 1997-98. One of the individuals who was gravely injured in the violence was a white man named Reginald Denny, whom a group of rioters pulled out of his truck and bashed in the head with a cinder block – simply because of the color of his skin. The entire incident was videotaped from a helicopter above the scene. When Damian Williams, the ringleader of the mob that attacked Denny, was later arrested, Waters visited Williams’ family to offer her support. And when Williams and his chief accomplice in the Denny beating were eventually acquitted on the most serious charges against them, Waters again visited Williams’ home to convey her congratulations. By no means was this the only time that Waters has made common cause with violent black criminals. Indeed, she once joined with gang members belonging to the fearsome Crips and Bloods, in performing a communal dance called the “Electric Slide” at a housing project party. In 2002, Waters attended a Nation of Islam convention where the organization’s leader, Louis Farrakhan, stated that because the United States was supplying Israel with military equipment and weaponry, Palestinians had no choice but to engage in suicide bombings. “The Palestinians have nothing to defend themselves with, so they’re so exhausted and exasperated, think about that, strapping bombs to themselves, making themselves a weapon,” he said. “And then for the world to get upset because Iran or somebody is trying to send them [Palestinians] some weapons. Wait a minute. If you were Jewish and you saw unarmed Jews being persecuted, wouldn’t you come to your brothers’ aid? Do you expect Muslims to see their brothers suffering like that and not come to their aid?” At one point during the proceedings, Farrakhan told the audience: “We have Maxine Waters here, our great congresswoman from this area.” The audience, in response, cheered Waters’s name. In 2003, Waters served on the Advisory Committee of the Progressive Majority, which was founded in 2001 by Robert Borosage to help elect as many “progressive champions” to political office as possible. In 2003, Waters spoke at the annual “Take Back America” conference organized by the Institute for Policy Studiesand the Campaign for America’s Future. She spoke again at this conference in 2007. At a massive abortion-rights rally in Washington, D.C. on April 25, 2004, Waters is reported to have said: “I have to march because my mother could not have an abortion.” Other sources, however, claim that it has not been proven that Waters actually spoke those words on that day. In 2005 Waters co-sponsored Rep. John Conyers‘s bill calling for reparations for slavery to be paid to present-day African Americans. In June 2005 Waters co-founded and chaired the Out of Iraq Congressional Caucus (OICC), an entity dedicated to agitating for a swift withdrawal of U.S. troops from the Iraqi theater of war – alleging that the American invasion in 2003 had been launched on a pretext of lies and deliberately manipulated intelligence. Waters’ fellow OICC co-founders included John Conyers, William Delahunt, Barbara Lee, John R. Lewis, Charles Rangel, Jan Schakowsky, and Lynn Woolsey. In August 2005 Waters threw her support behind Cindy Sheehan’s campaign to discredit President Bush and the Iraq War effort. In early 2006, Waters and at least three fellow members of the Congressional Black Caucus — Barbara Lee, Al Green, and William Jefferson — met with Louis Farrakhan to discuss how the U.S. government should respond to the devastation that Hurricane Katrina had inflicted on the Gulf Coast a few months earlier. Farrakhan praised Waters and the other CBC members for the statements they had made on that crisis at a recent House Financial Services Subcommittee meeting and asked them to “tell me how I can be of service.” Waters replied: “I think we need to get together and talk about how we’re going to put New Orleans on the national agenda.” To view a video of Waters hugging Farrakhan at that meeting, click here. Emphasizing her support for policies that permitted nonwhites to obtain mortgages even if they failed to meet the financial qualifications for standard loans – e.g., being able to make a down-payment on a home purchase – Waters happily announced that “since the inception of goals from 1993 to 2002, loans to African-Americans increased 219 percent and loans to Hispanics increased 244 percent, while loans to non-minorities increased 62 percent. Additionally, in 2001, 43.1 percent of Fannie Mae’s single-family business served low-and moderate-income borrowers….” “The GSEs are working,” Waters declared triumphantly, reiterating her opposition to increased oversight. In an October 2008 panel discussion on HBO’s Real Time With Bill Maher, the Wall Street Journal’s Stephen Moore confronted Waters with the charge that she had received “$15,000 of campaign contributions from Fannie [Mae] and Freddie [Mac],” both of which played major roles in the housing-market collapse. Waters protested angrily: “No I didn’t…. That is a lie and I challenge you to find $15,000 that I took from Fannie PAC.” A 2008report by the Center for Responsive Politics showed that Waters had indeed accepted $15,000 from the PACs of Fannie Mae & Freddie Mac in recent years, plus another $2,800 from employees of those two entities. HR 34 passed in the House of Representatives by a margin of 390 to 5, with Waters being one of the 5 dissenters. When the House of Representatives voted by a 345-75 margin to defund the notoriously corrupt community organization ACORN in September 2009, Waters was one of the 75—all Democrats—who voted to continue funding the group. For a list of other legislators who voted as Waters did, click here. “I took a call from Congresswoman Maxine Waters about two minutes before one…. The Congresswoman’s main point was that Former President Aristide needed to return before the election because Martelly, who in her opinion was bound to win, would not allow him back after the election, because he was ‘in the ton tons.’ How we could allow Baby Doc back and try to prevent Aristide was not understandable. “I told her that if that was her fear, then it was unfounded, because Preval would remain in power until May. She said results would come out Sunday and that would be the end of his [Aristide’s] chances to come back. I said the contestation period meant that there would be no official results until April 16, so there was plenty of time for him to return after the election. Waters supports the Black Lives Matter (BLM) movement. In 2016 she was photographed participating in a BLM march protesting police shootings of black men. On June 24, 2017, Waters held a town hall meeting at the Nakaoka Community Center in Gardena, California, and did not permit anyone who lived outside of Waters’s 43rd Congressional District to be admitted inside the facility; such individuals were instead relegated to an outdoor “overflow space.” In light of these facts, it is worth noting that Waters herself does not reside in her own 43rd Congressional District, which is one of the poorest districts in the state of California. She owns a $4.8 million mansion in the upscale Hancock Park section of Los Angeles, several miles outside of her District. It was subsequently learned that the compilation of the anti-Trump dossier was overseen by Fusion GPS, an opposition-research firm funded by Democratic donors, and that the information in the dossier was derived from Russian intelligence agents. Another of the The View’s co-hosts, Joy Behar, asked Waters: “Do you think [Vice President Mike] Pence will be better than Trump if he [Trump] were impeached? ” The congresswoman replied, “No. And when we finish with Trump, we have to go and get Putin. He’s next.” Behar then asked Waters if she had meant to say “Pence” rather than “Putin” (the President of Russia), and Waters clarified that she had meant to say Pence. Loomer: I would like to ask you questions. (As Waters waves her hand behind her to block the camera) Please don’t push my camera out of my hands. You just encouraged your supporters to harass Trump supporters and officials. Waters: Please come to my office and sit down with me. … Please sit down with me. Loomer: I just wanted to ask you: Where are conservatives allowed to go? Are there separate—do we sit at the back of the bus? Loomer: Where can we eat? Where can a conservative eat at a restaurant in Washington, D.C.? Waters: Please come to my office and be civil. Please come to my office and talk with me. Loomer: You’re talking about civility. Do you think it’s civil to call for the harassment of Trump officials? For a video of this encounter, click here. In February 2019, Jussie Smollett, a black homosexual television actor, was indicted for having paid two Nigerian-American brothers to stage a fake hate crime assault against him and filing a false police report which claimed that his attackers were two white men who supported President Donald Trump. On March 26, 2019 — thanks to intervention by Chicago attorney Tina Tchen, who had previously served as chief of staff to former first lady Michelle Obama — Smollett’s defense team reached a deal with prosecutors in which all charges were dropped in return for Smollett agreeing to perform two days of community service and to forfeit his $10,000 bond. For a timeline of the major events in this case, click here. For an overview of Waters’ congressional voting record on a number of key issues over the course of her political career, click here. Aldore Collier, “Maxine Waters: Telling It Like It Is in L.A.,” Ebony (October 1992), p. 38. “Maxine Waters: Straight Talk from South Central,” Ladies’ Home Journal (August 1992), p. 112. Minoo Southgate, “Black Power, Nineties Style,” National Review (December 13, 1993), p. 47. Notably, Damian Williams was released from prison a few years later and subsequently committed murder in 2000, a crime for which he was sentenced to 51 years in prison.